Bulgaria and Romania should get a date for their accession to the Schengen area by the end of 2011, according to the Committee on Civil Liberties, Justice and Home Affairs (LIBE) in the European Parliament. MEPs adopted by a large majority the reports of Carlos Coelho (EPP, PT) on the evaluation of both countries' readiness to join Schengen. 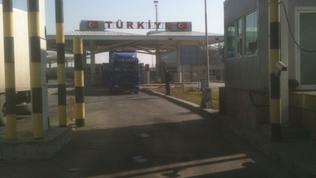 “Are these two countries ready to enter Schengen? My answer is clearly yes. And this is clear in all the evaluation reports and it is clear from the visit we carried out. In some areas these two countries are even better prepared than some countries who are already Schengen members”, the rapporteur, Mr Coelho said. According to him, however, illegal migration makes Bulgaria, Turkey and Greece one of the most sensitive areas on EU external borders. This requires Bulgaria to take additional measures, including a specific action plan, and together with Turkey and Greece to develop a common approach to deal with a possible increase of migration pressure. “It is essential to bear in mind that the removal of controls at internal borders requires a high degree of mutual trust among Member States in the existence of effective controls on the external borders, because the security of the Schengen area depends on the rigour and efficiency with which each Member State carries out checks at its external borders”, the rapporteur noted. As you know, because of the migrant waves from North Africa, French President Nicolas Sarkozy and Italian Prime Minister Silvio Berlusconi took up the initiative Member States to be able to restore temporarily internal border controls in the event of “exceptional difficulties”. In a joint letter to the President of the European Council, Herman Van Rompuy, and European Commission President Jose Manuel Barroso, the leaders of Italy and France insisted on strengthening the management of the Schengen area, similarly to the enhanced economic governance of the EU. The two leaders called for more political control from the Member States, including on the process of Schengen enlargement. In a letter to both leaders Commission President Jose Manuel Barroso agreed with their position that “as a last resort” the EU should consider a mechanism “for a co-ordinated and temporary reintroduction of controls” along sections of the internal borders of the Schengen area. According to the letter, the Commission is “exploring the feasibility” of such a mechanism and “may present” proposals “shortly”, European Voice reported. On 4 May the Commission presented a Communication on migration policy, which also addressed the issue of the Schengen area. In June the European Parliament is to vote in plenary on two reports on Bulgaria's and Romania's readiness to join the Schengen area. Then the Council of Ministers of the EU has to take a final decision with unanimity. As you know, however, several Member States requested the decision not to be taken before the summer Commission reports under the Cooperation and Verification Mechanism, which are expected in July. Member States want the results shown by Romania and Bulgaria on combating organised crime and corruption, to be considered when making the decision on their Schengen membership. In addition, the migration issue and Schengen are expected to be the main topics of the European Council in late June. If then the EU leaders support the changes, requested by Italy and France, the Schengen membership of Bulgaria and Romania will probably be delayed further. 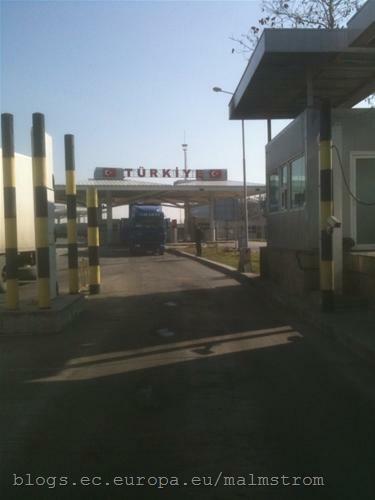 On 3 May, the Bulgarian Foreign Ministry announced that the Working group on Schengen matters (Sch-Eval) has adopted “unanimously and definitively” the additional report on border controls at the land border between Bulgaria and Turkey. It was found that Bulgaria had responded comprehensively to all questions raised by the Member States following the preparation and presentation of the report, including to France. With the approval of the report the technical side of the Schengen criteria performance is concluded and the protection of the Bulgarian part of EU external border is being made according to Schengen standards.